Welcome to Annie’s Hot Dogs! Welcome to Annie’s Hot Dogs! Our carts are ready to roll for your next corporate lunch, happy hour or special event! Hot Dog carts, Pretzel Carts, Churro Carts, Ice cream carts, Popcorn carts, and a Cotton candy cart. You might have seen our hot dog carts throughout San Francisco. You have probably enjoyed one of our delicious hot dogs. 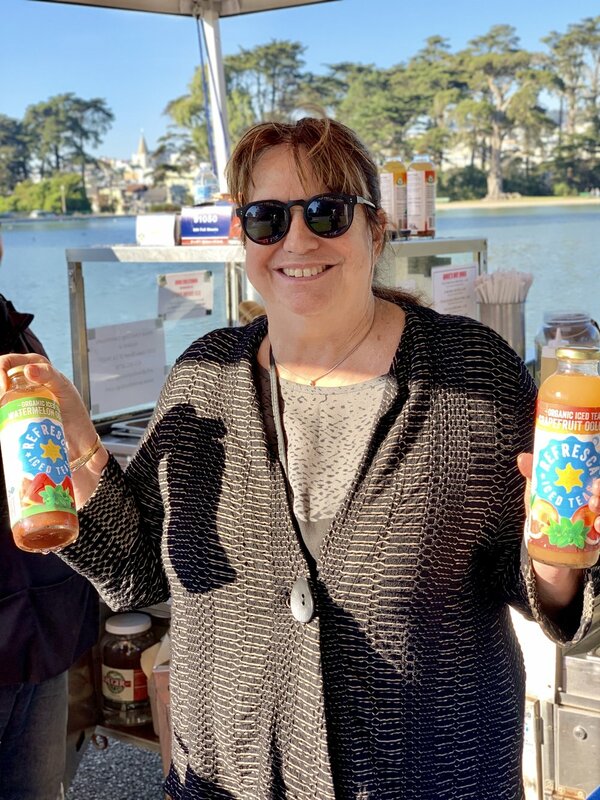 This is my mom, Cathy pictured here last week at one of our carts in Golden Gate Park. My mom started this business in 1983 at the Ferry Building in San Francisco, and I grew up slanging dogs on the embarcadero before I was in grade school. Besides our locations in Union Square we also have locations in Golden Gate Park and City Hall. We are a family run, small business owned by a woman in San Francisco and we’ve been in business for 36 years this March! If you’re looking for cart rentals you’ve come to the right place, we have done corporate parties for Apple, Facebook, Salesforce, Stubhub, Twitter and many other companies throughout the Bay Area.We can cater to any event you have in mind, Opening day for the Giants, or carnival style lunches we will instantly make a work party more fun and interesting.